The US government is saying it will help Ukraine’s new government with money, but the US Treasury is not in any political shape to give billions of dollars to the Ukrainian economy which requires $35 billion, geopolitical analyst William Engdahl told RT. RT:Those are some pretty painful reforms being planned there. 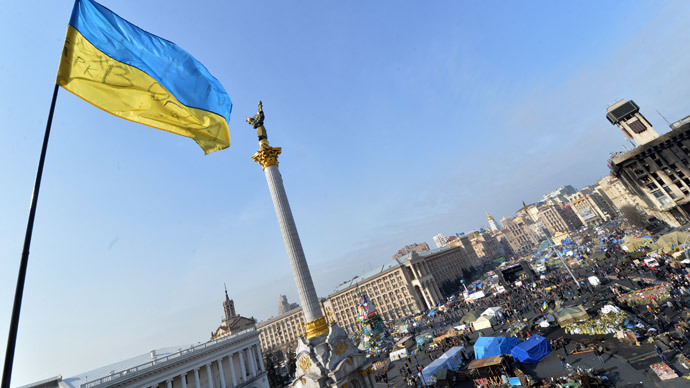 Do you think the IMF will ease up on its requirements for Ukraine's new leadership? 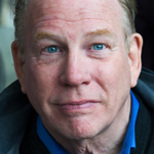 William Engdahl: I don’t think that at all. It’s clear that Washington is steering this. The EU compromise that we saw take shape on Feb. 21 in less than 12 hours was shadowed by a group of professional paramilitary snipers that created panic in Kiev and led Klitchko and other opposition leaders to break the deal with the EU and Yanukovich’s government. So the developments that the US is imposing on Ukraine are very clear. Their man is likely to become next prime minister – Victoria Nuland’s preferred choice in the leaked telephone conversation. And the conditions that the US wants to impose are simply looting and plundering of the prime economic areas that are integrally linked since the Soviet Union era to the Russian economy. So you have one of the best agricultural lands in the world, western agribusinesses has been salivating for 22 years to get their hands on that, and now the IMF is going to demand the privatization. Coal privatization also in the east, gas prices going up 100 percent, and you wonder what the benefit is of all this great opposition movement which wanted so dearly to become a part of the EU. This is a manipulation from the outside. Even if the military forces, the snipers in the opposition movement and the ones who have been so well-timed in shattering any diplomatic solution repeatedly in Ukraine, the so-called UNA-UNSO appear to be intimately coordinated with the NATO and Washington agenda of destabilizing Russia since 1990. RT:Would Ukraine's leaders be able or even willing to risk popular backing in fulfilling such conditions to get aid? WE: They won’t get aid, they will only get pittances. The US government is making verbal sounds about money, the US treasury is not in any political shape to give billions of dollars to the Ukrainian economy which requires 35 billion. I can imagine that the Russian government is not at all disposed to follow through on its pledges made to the previous government about $15 billion of debt purchases to help Ukraine and reduction of natural gas prices. I would expect Russia not to be suicidal. This isn’t Putin, big and nasty, against the peace-loving Ukrainian people, this is a putsch orchestrated by Washington. Victoria Nuland, as we know from YouTube, was involved as coordinator of this. Washington wasn’t invited to the talks when Steinmeier, Sikorski and the French Foreign Minister were mediating a compromised diplomatic solution. Washington's answer came within 12 hours, when the snipers let all hell break loose in Kiev and everything was shattered. Now the new government, which is exactly what Washington wanted and Victoria Nuland said in the leaked conversation to the US Ambassador in Kiev, and the agenda of the IMF is simply to plunder and loot the best parts of the Ukrainian economy, which happen to be in the Russian-speaking part of Ukraine, in the East. It’s very clear that this is a massive assault by neoconservative circles in Washington to weaken Russia, to weaken the Russian part of the economy of Ukraine.